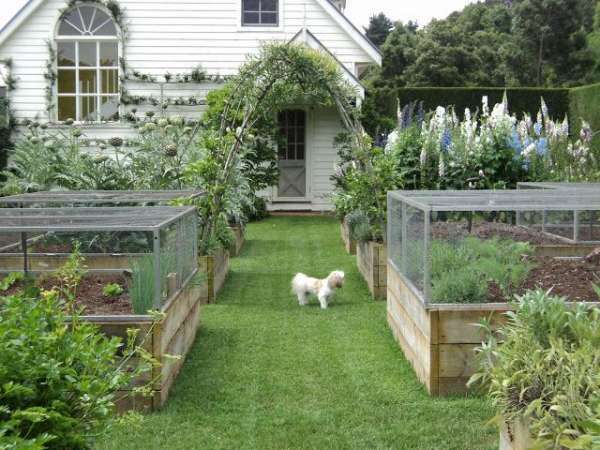 Don’t have a lot of space for growing vegetables and plants? No problem! Start your vegetable garden in containers. 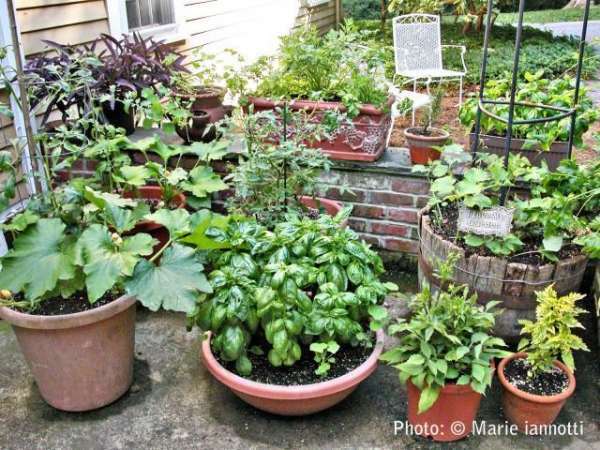 Container vegetable gardening is easier to maintain and require little space. 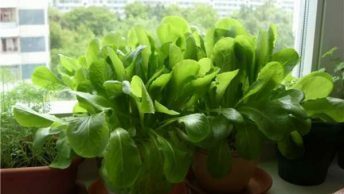 It is perfect for beginners who are trying to grow vegetables for the first time. 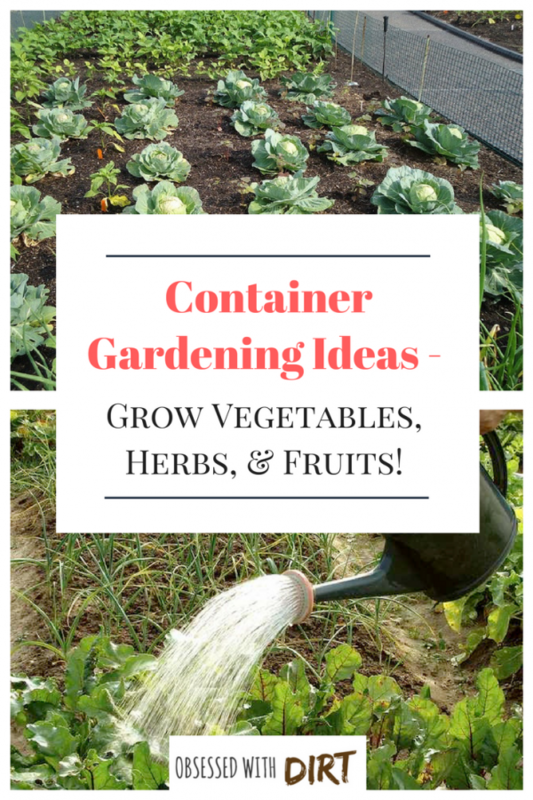 One huge benefit of container vegetable gardening is that you will have minimal weed problems, so maintaining your garden will not overwhelm you. You can easily move your pots as you like. 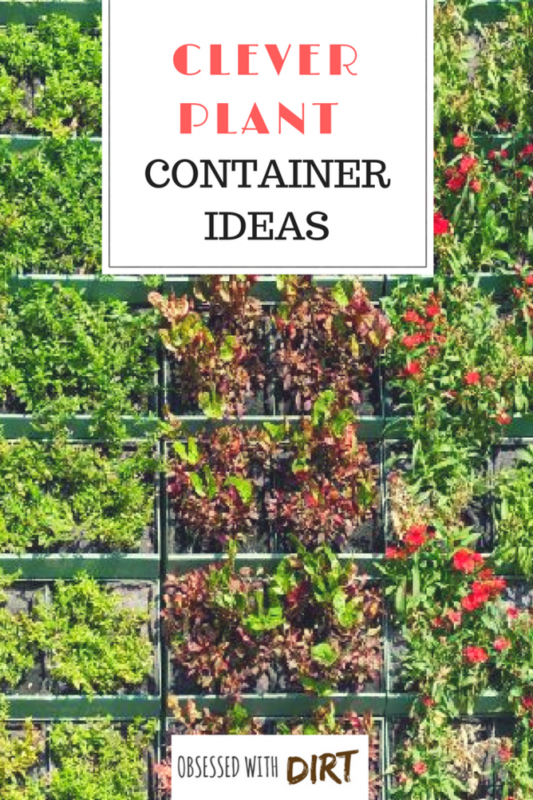 So here is a list of some container vegetable gardening tips, designs, and ideas to get you started. By following my tips, you will be able to enjoy fresh produce right from your containers. First and foremost, observe your deck and choose a spot that gets at least six hours of sunlight every day. 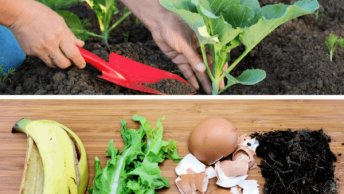 Make a careful observation before starting with your container vegetable gardening adventure. Some herbs and greens can do better in 3-4 hours of sunlight but most will require approximately six. Plant Grow Light is a great product and a must-have alternative to indoor plants. Put your plants where you can easily see and access them. 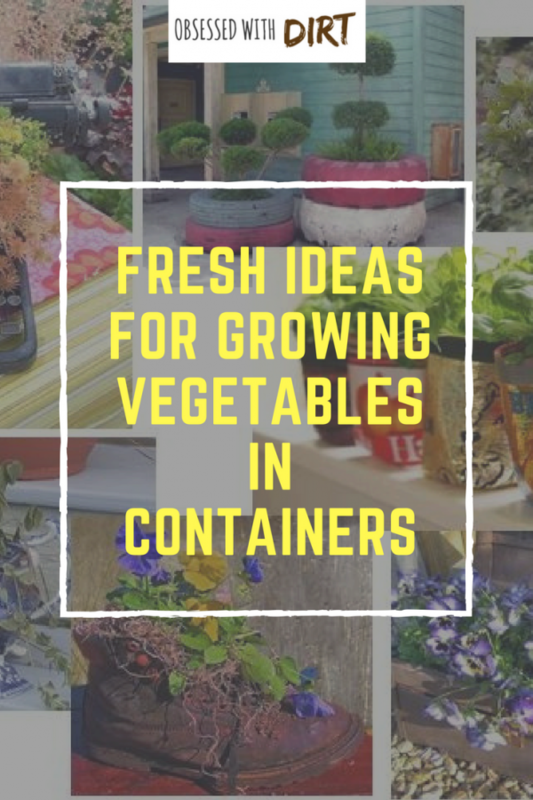 This is so because container vegetable gardening requires more frequent watering than plants that are grown in the ground. 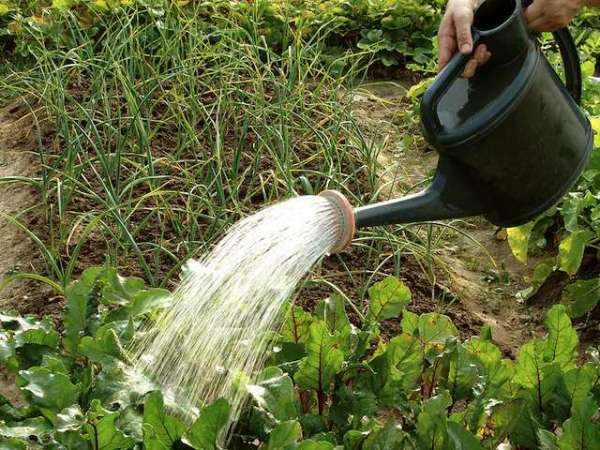 You will have to water your plants on daily basis during hot weather. So having easier access to them will not make watering a difficult chore. Besides water, you can also take care of pest control needs of your planters. A well- balanced handle design for comfortable carrying and pouring is important, that’s why I use this watering can. Remember what your grade school science teacher taught: plants need air, water and sunlight to grow. Fresh air can do wonders for plants. If you cannot keep your pots out in the open all the time, at least move them out for a couple of hours. Make sure the place should be airy and not windy. While good air circulation prevents fungal diseases, a strong wind can topple plants and containers, shred leaves and dislodge fruits. Check out this grow tent ventilator which is great for indoor plants. 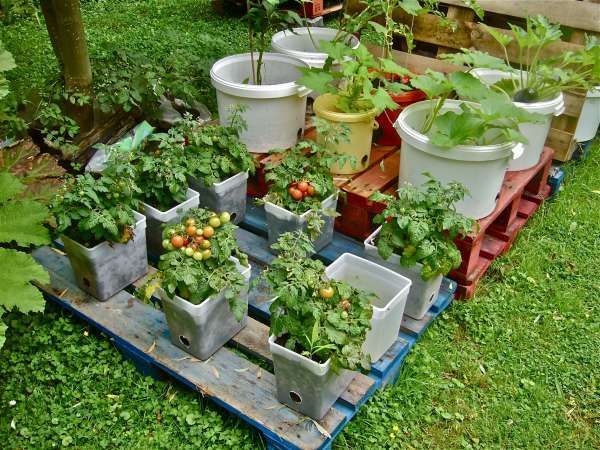 What’s the single most important thing for container vegetable gardening? Containers! Choosing the right container is pertinent for growing healthy plants. Selection: You will find a variety of containers in the market. 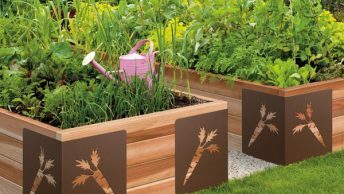 For edible gardening choose pots made of opaque material such as terracotta, plastic or concrete. 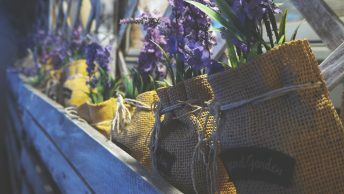 You can also opt for grow bags and even use containers found at home such as buckets, bushel baskets, wooden boxes and wash tubs. Plastic pots are relatively cheaper and can be decorated in numerous ways. They also retain more moisture as compared to unglazed terra cotta pots. Drainage: No matter which pot you choose to soothe your container vegetable gardening design, it should have 2-3 holes at the bottom for good drainage. Color Contemplation: Pots having dark shades tend to absorb more heat which can be harmful to plants. If you want to keep your planters outside, choose pots with a light color. Size: Choosing the right sized container, especially for edible gardening, is important. Vegetables such as tomatoes, eggplants, potatoes, and peppers grow well in a 5-gallon container. Annual flowers, salads, herbs, and lettuce need small space so you can either plant them in window planters or on a ledge. Check out these fabric pots with handles that allow roots to breathe and grow healthier. Fluffy and light soil is a must for container vegetable gardening. As a general rule, the better the soil better would the taste of your vegetables. The soil should not be tightly packed or too dense. Appropriate water retention and oxygen supply are essential for growing healthy solid roots. Solid root structure provides support to your plant when it is heavy with fruits. Use potting soil mixes and avoid cans, gravels or soil from your yard. A smart choice would be to use fiber organic potting soil. Seeds require minerals and food to germinate into healthy plants. 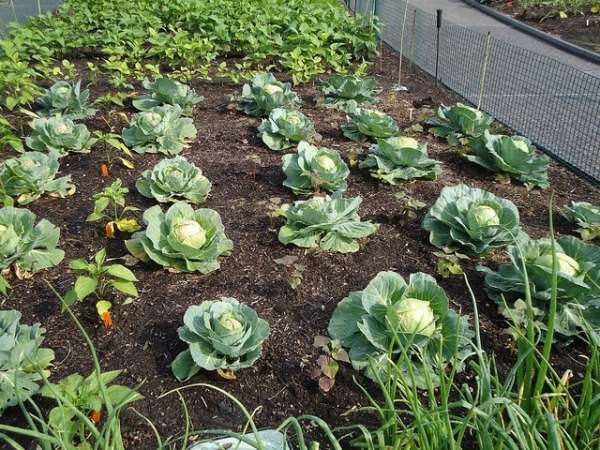 Organic soil mixes are best for container vegetable gardening. You can find numerous mixes at your local nursery or make one on your own. Peat-based mixes that contain equal parts of peat moss and vermiculite are excellent for growing plants. They are pH adjusted and sterile. Mixing one part compost with two parts soil mix will improve fertility. 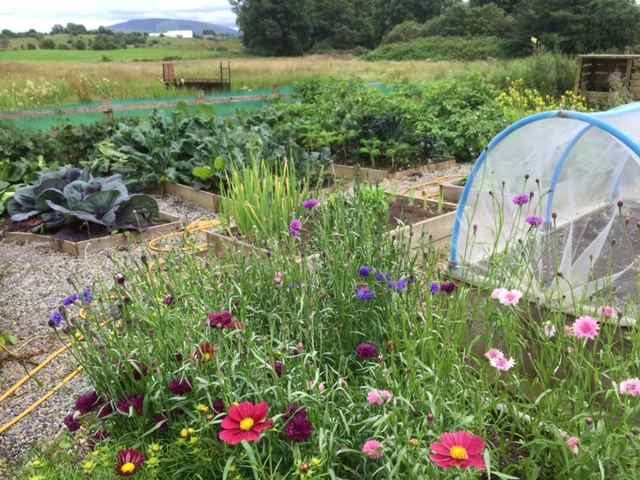 You can use completely organic fertilizers or even liquid fertilizers (they are a bit smelly, mind you!). Check out this new Espoma organic liquid plant food which is proven to grow better plants with larger blooms. 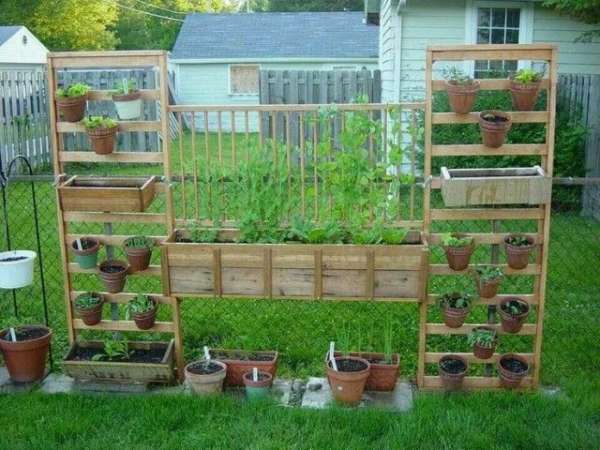 Who said container vegetable gardening is boring? It can be fun and splendidly beautiful along with providing healthy vegetables and fruits. Choose plant varieties with bright colors. Bright red tomatoes, shiny green peppers, lush purple eggplants, flashy marigolds, are all a celestial feast to the eyes. You can also paint your containers with bright colors for decorative purposes. The Vegetable Garden Bible by Edward C. Smith provided comprehensive tips and ideas in growing your vegetable garden. These planters are ideal for small spaces. 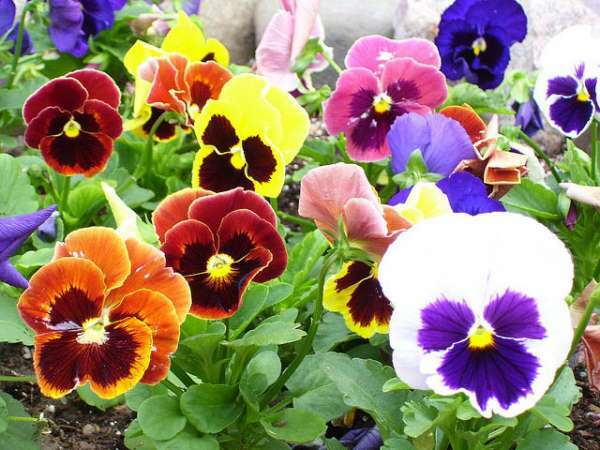 They give you an opportunity to plant many varieties in an efficient manner. They are ideal for herbs, lettuce and fresh greens. You can let vertical planters stand at a side on your patio or small apartment balcony. This high-quality vertical garden hanging planter is just perfect for any space in your house. Hanging baskets do not just serve decorative purposes. You can actually grow herbs, tomatoes, strawberries and many other vegetables in a hanging basket. By growing vine varieties in hanging baskets, you will be able to create space for bush varieties in containers. I highly recommend this 4 Pack Metal Hanging Planter Basket that will make your house beautiful like springtime. 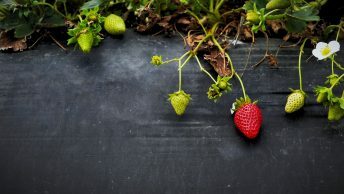 If you want to know which berries are best to grow in containers, check out 8 Best Berries to Grow in Containers for Incredible Flavor. Edible flowers make an interesting addition to salads, sherbets, and even savory dishes. They also add depth, color, and excitement to your otherwise small container garden. Moreover, they also facilitate pollination. For a cheap price, check out this 7 edible wildflower seed packets that are popular and a colorful way to spruce up your dishes! Unique and novel planters are a virtual treat for the eyes. They provide an interesting touch to a small spaced garden. 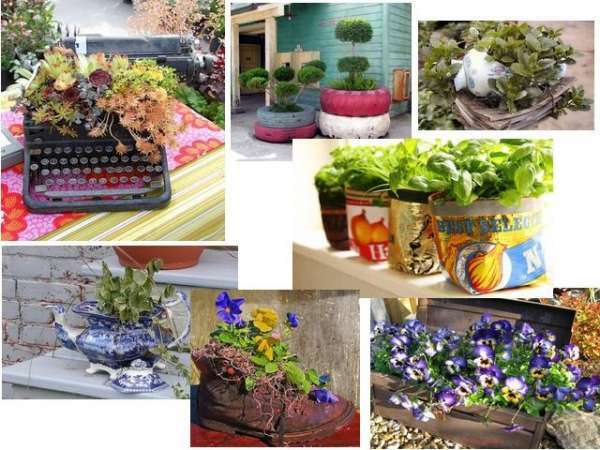 You can recycle and make these pots at home or buy from your local shop. The manufacturing process of some planters drains our natural resources while others have smaller environmental footprints. Being a conscious consumer, try choosing pots and containers made from sustainable materials. The book Simple Steps to Success: Fruit and Vegetables in Pots promotes gardening as a real pleasure. A must read! 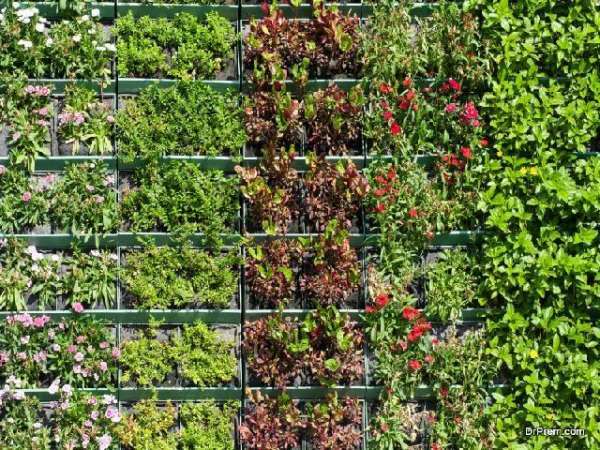 To save space, use plants that grow vertically. 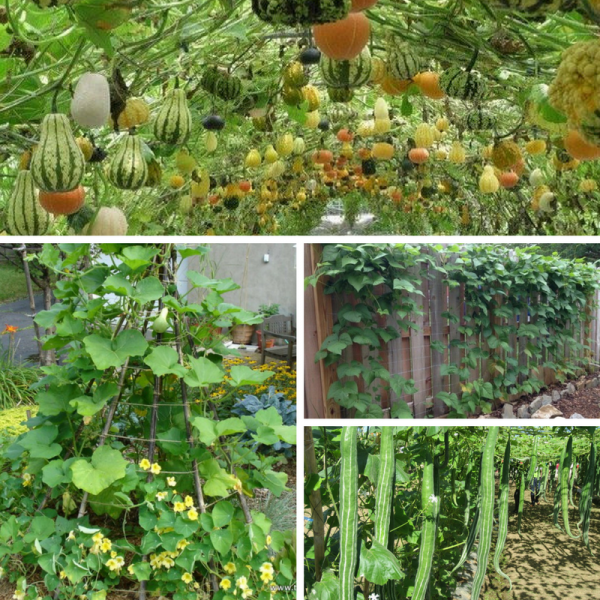 Cucumbers, pole beans, peas, vine tomatoes, squashes, and gourd are good examples. You can use cages, trellis, and even bamboo sticks to support them. 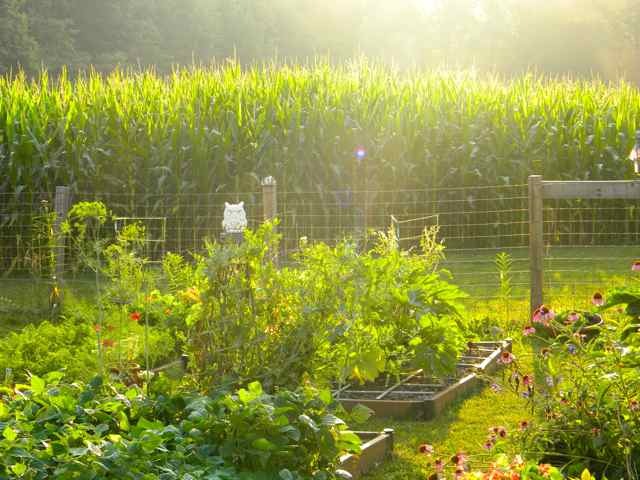 Directing them upwards will save ground space and you can utilize it to grow either some more veggies, flowers or even make some sitting space amongst lush greenery. Check out Vertical Vegetables & Fruit by Rhonda Massingham Hart. This book will show you how to construct and maintain a thriving and abundant garden in whatever small space you have available. 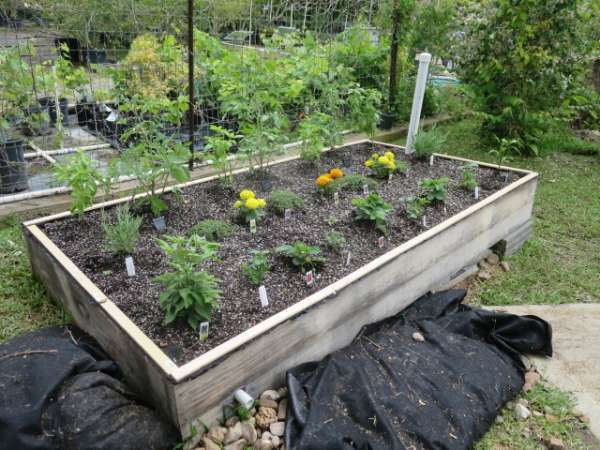 Another very informative and helpful article on utilizing and saving ground space for your garden is 17 High Yield Vegetables to Grow in Small Space Gardens. 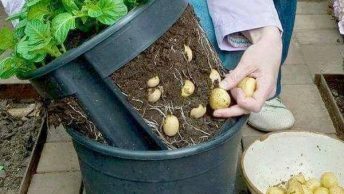 Growing plants in a pot is a surprisingly productive way of maximizing crop production in a small area. It doesn’t matter if you have a small balcony or a pocket-sized backyard. With a pot large enough you can actually grow as many as 10 different types of crops in a year! You can use a water trough or a rubber tub for this purpose. Just drill a few holes at the bottom for drainage. Ideally, choose popular vegetables such as tomatoes, cucumbers, peppers, zucchini and herbs including mint, basil, oregano, and cilantro. Place your pot in an area that gets most sunlight during the day. Maintain some distance between each plant. Water the pot regularly and you are set for the season. 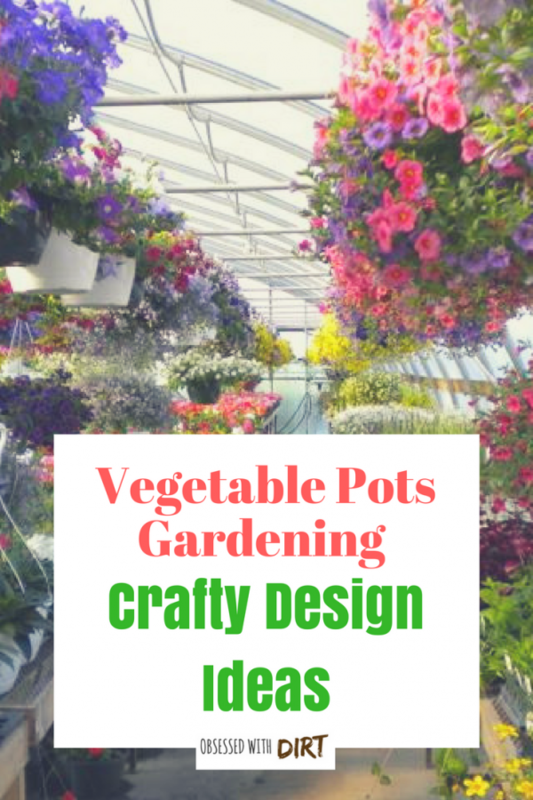 Check out this light and unbreakable pot which is perfect for your one pot vegetable garden. Herbs have the power to elevate the flavors of any dish. The fresher the herb the better would be the taste of the dish it is added to. 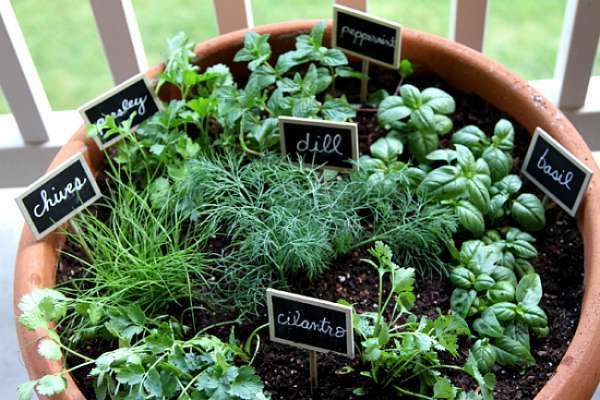 Herbs are very easy to grow and will require very little efforts on your part. All you need to do is provide them sunlight and water them regularly. 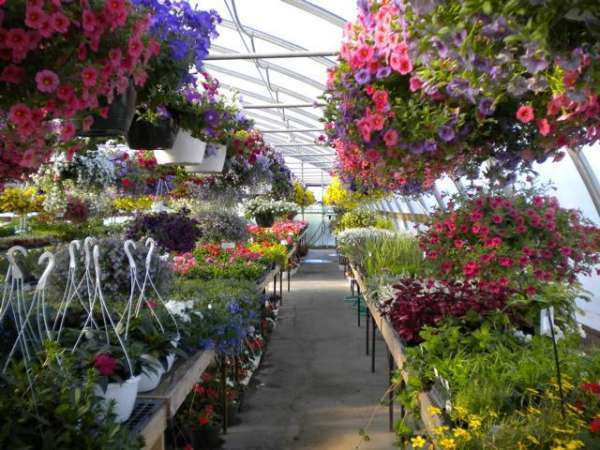 They can be grown in small container boxes, empty milk, and yogurt cartons, hanging baskets etc. Mint, oregano, parsley, thyme, sage, basil are few examples. There are plenty of options; however, I would recommend growing the varieties that you like to use most in your dishes. This herb seed collection is a must try. Container vegetable gardening allows you to add depth and aesthetics to your garden by adding different colored veggies in your collection. Play around with herbs and veggies having captivating colors, tantalizing foliage and different textures. 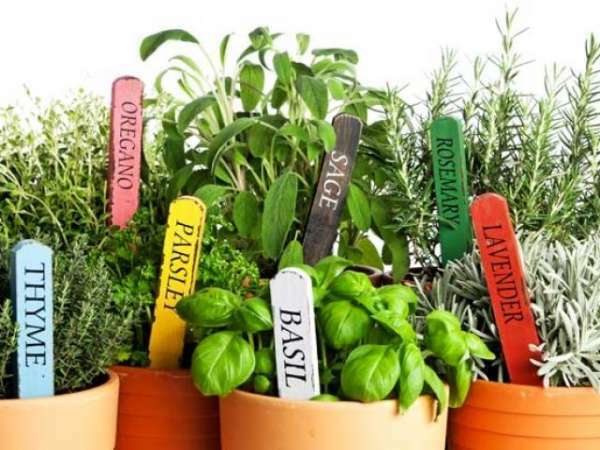 You can hike up your garden look by enumerating varieties such as red stemmed Swiss chard, fragrant lemongrass, round midnight basil, flashy hot red peppers, fine leaf rosemary and different herbs. They will make your garden space look amazing and full of life without you having to put some extra money for décor. Try these cute and colorful pots to brighten up your garden. Grouping plants according to their height is also a good way of making your container vegetable gardening stand out. 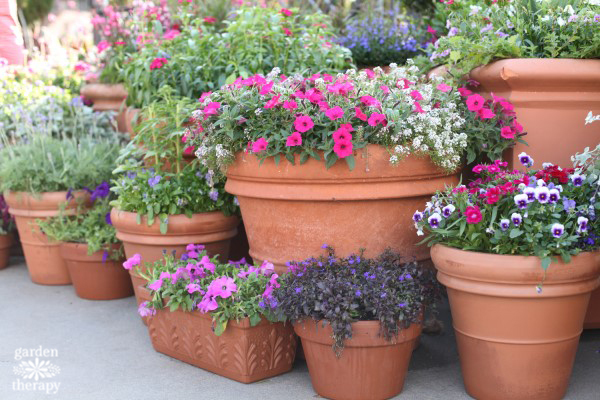 Create layers and waves by using pots and containers of varying heights and sizes. Put tall varieties at the back and small plants and herbs at the front. This will give you a garden-like effect and a neat look to what may have been an otherwise congested space full of plants. Keeping an organized journal is essential to record important information about the food you grow so you can be a better gardener. You might be interested in reading My Vegetable Garden: Month by Month Journal by L Seabolt. 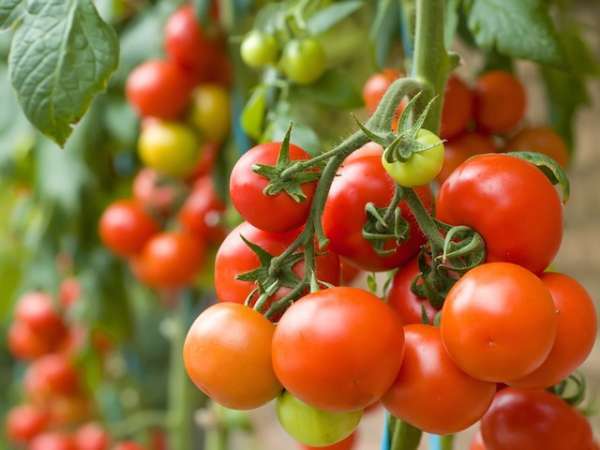 I think tomatoes are a must for any vegetable garden, container or otherwise! They are lovely to look at, add awesome flavor to just about any dish they are added to and are very productive. 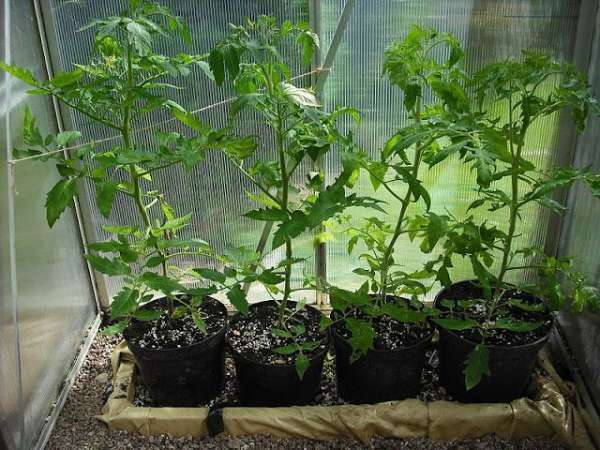 There are numerous tomato varieties that you can grow in containers. Small cherry tomatoes require very small effort on your part and yield plenty of crops. A very helpful book for tomato enthusiasts is Epic Tomatoes by Craig LeHoullier. Vertical gardening is the trending answer to small spaces where large pots make space look too confined. You can use bookshelves, plant holders, and even shoe racks as pots. Hanging baskets and vertical planters simultaneously fill your appetite for gardening and organic food and also give you free floor space. You may decorate your balcony and home with these hanging garden pots and they will add style and color to your garden. Growing lemon tree in a pot is a wise idea, especially for those who have limited space or live in a colder region. Just provide them with their basic needs and your plant will return the favor in form of zesty lemons. 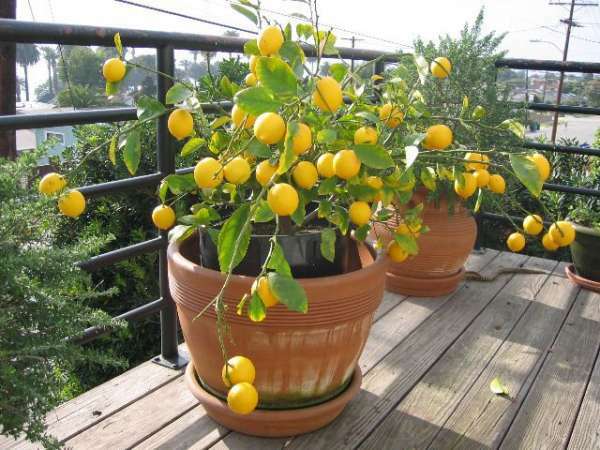 Check out this huge pot which is perfect for growing a lemon tree. As a first timer, I would recommend you to choose vegetable and fruit plants that are very productive and easier to grow. Container vegetable gardening requires a lot of patience and perseverance which can sometimes be confounding when the result is not what you expected. Go for vegetables and fruits that require minimum efforts and have high yields. Try starting your container vegetable gardening journey with squashes, cucumbers, tomatoes, and peppers. All you need to do for them is to provide them favorable environment. These vegetables will thrive on their own. This will give you will, strength and perseverance to continue with your container vegetable gardening goals. Once you gain experience, you can venture into vegetable and fruit varieties that you don’t commonly find on supermarket shelves. A book that will provide you with practical things you need to know is Vegetable Growing for Beginners by Kendra K.
Harvest is probably the most pleasurable, gratifying and delightful step of the whole container vegetable gardening experience. Use these few tips to get it right. Pick up crops as soon as they reach a size that you will enjoy. Letting your plant ‘go to seed’ will cause a decrease in fruit set. 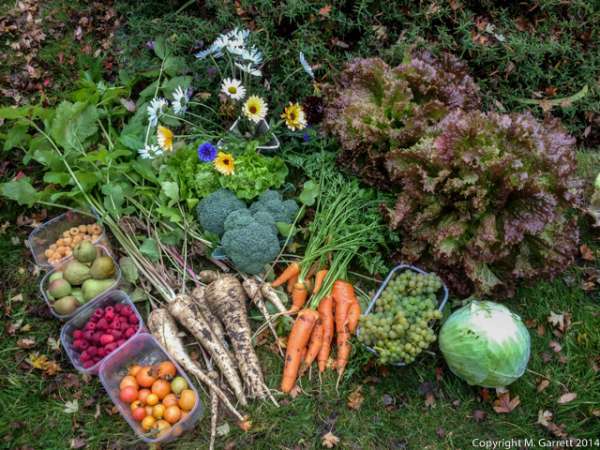 In fact, most vegetables are productive if you harvest them on regular basis. For vegetables such as lettuce, harvest the leaves but don’t disturb the crown. This way you will continue to enjoy fresh leaves more often. As the season ends, add the container garden soil to your compost pile. Do not use the same soil over and over again as this can spread infections and diseases in plants. To store the containers and pots, thoroughly scrub them to remove soil and rinse with bleach and water. Once dry you can stash it away for next season. A good guide for this is Grow Cook Eat by Willi Galloway. Check it out here. 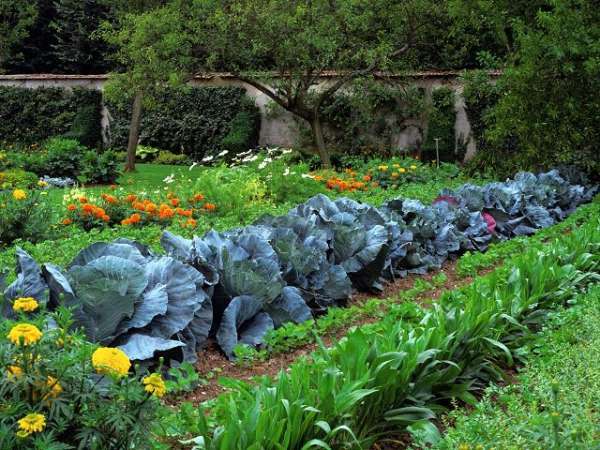 If you need help and very informative tips on soil fertilizers, check out 5 of the World’s Best Homemade Vegetable Garden Fertilizers here.